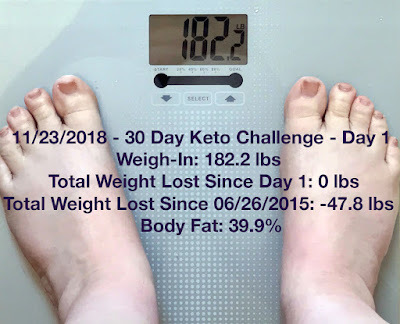 So, after spending Thanksgiving on track and on plan I decided that I still want to eat my regular Christmas foods and take a keto break for Christmas Day or Christmas Eve if we end up with another Christmas Day snow storm like last year! It will not be a full day of eating whatever I want, so no binging, but it will be a day where I can relax, enjoy and then get right back on track. 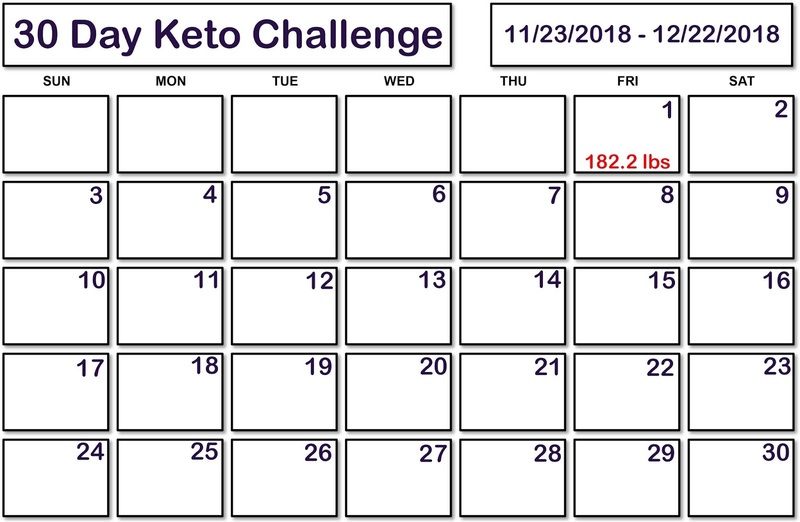 Therefore, I'm working on a different calendar for a 30 day keto challenge. That will still leave me with two days between the end of the challenge and Christmas day but I can handle two days without a problem. 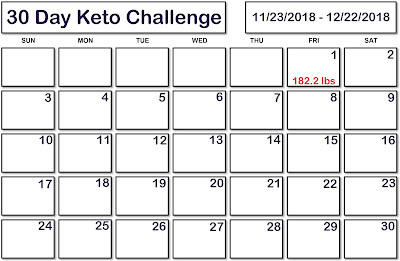 I'm going to weigh-in and take my measurements every 10 days like with the other challenge so I'll have three weigh-ins and I'll earn one reward in that time. This gives me a month of being on track and hopefully I can drop a good five or so pounds in that time and it gives me something to look forward too food-wise for Christmas itself! I also plan to celebrate every little victory whether it be the number on the scale, my measurements, a successful workout, a smaller size, lifting heavier weights or even sticking consistently with the plan so I'll be posting a lot in the next month because I think the little victories will help me stay on track!